It rained for the first time today. Fortunately we got an early start and made it to Trier before the rains came. Fifty-five degrees and wet is not fun on a bike. We checked in early and spent the next few hours planning our route and booking rooms through the weekend. It’s not our style to plan that far ahead, but this is a popular place, and the hotels can get booked up, particularly on weekends. 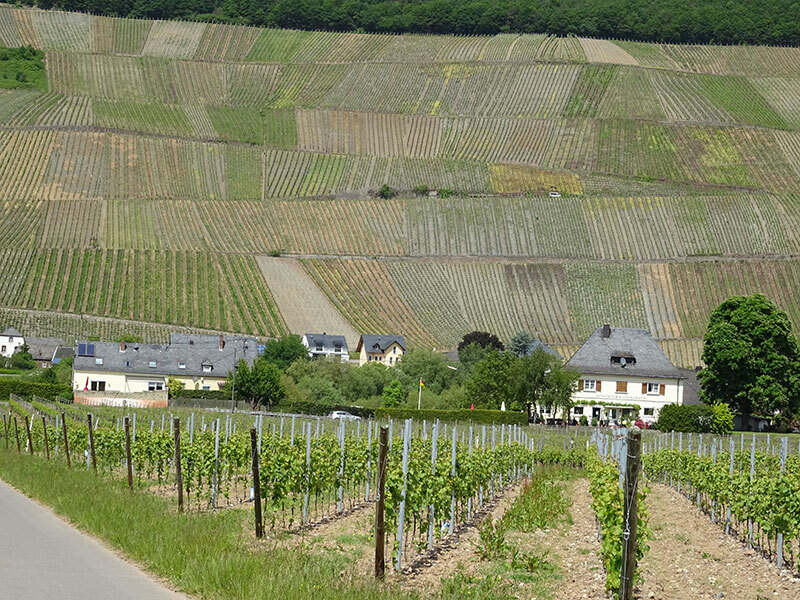 We’re not going to rush through this one; the Moselle is supposed to be a very special place. 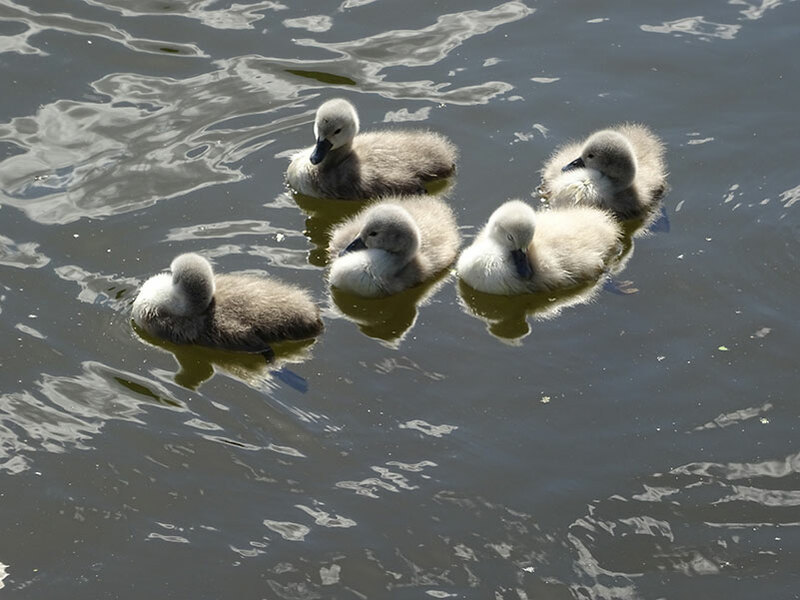 Swan babies! Definitely not ugly ducklings. Trier was as advertised; an ancient and fascinating city. 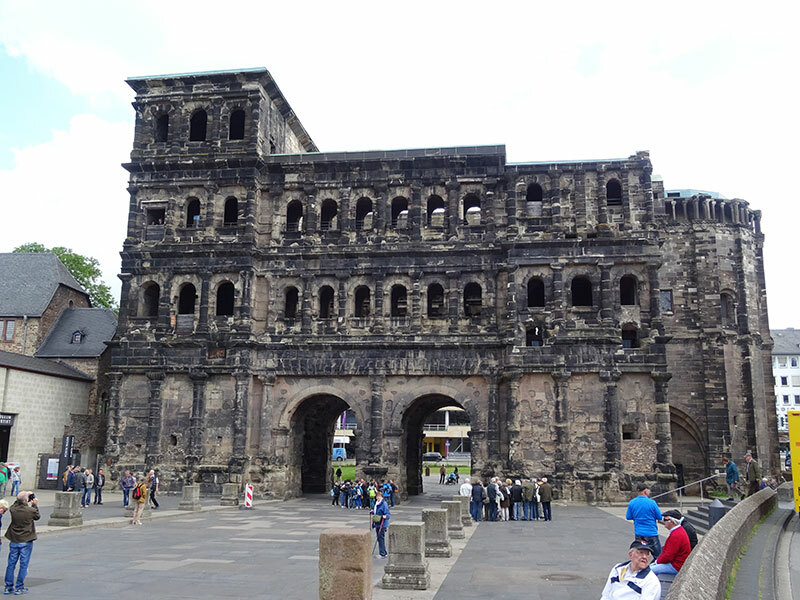 It was founded by the Romans in the first century AD, and still has the very impressive Porta Nigra (Black Gates) to prove it. Unfortunately, it also has throngs of people pouring into the city to see its sites. The tour guides dress up in Roman garb, and the city hires buff actors in short Roman togas to shout from the Porta Nigra towers. While we recognize all that Trier has to offer, it’s just not for us. We’ve not been quick studies on this one. For years now, we’ve known that we’re happiest in small, less touristy towns, yet still feel compelled to make it to the “must see” destinations. That is about to change. As is often the case with large cities, we struggled getting out of town. The route was congested, heavily trafficked, noisy, odorific, and poorly marked. 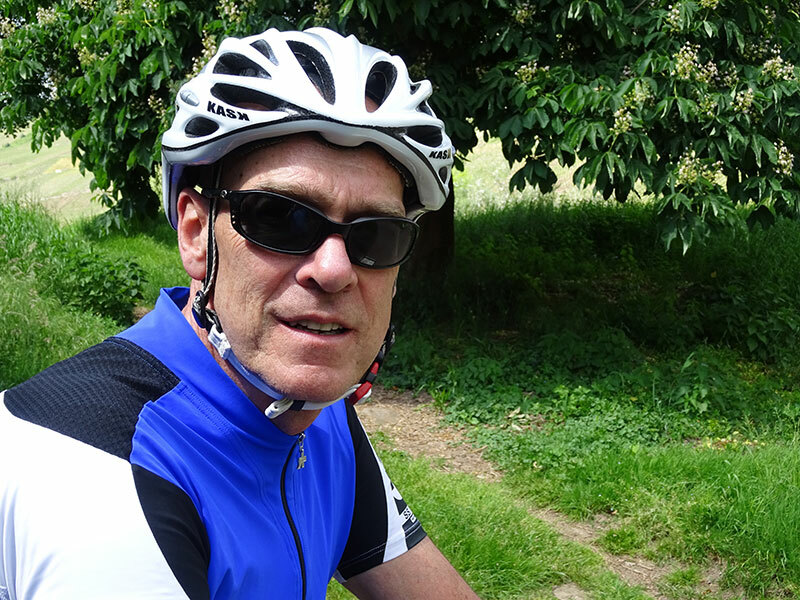 To make matters worse, about 10K into the ride, the bike developed a clunking noise from the rear crank and refused to shift into the large chain ring. Ugh. Mechanical problems are one of the realities of bike touring. Nearly 20K into the ride, we made it back to the river, where our fortune changed. Jeff discovered the problem (my bottom bracket had come unscrewed), and handily fixed it. The ride changed from the least pleasant we had encountered so far, to the most pleasant. Just like that! The path ambled along the river and through vineyards, past quaint little villages. The sun was shining. Who could ask for more? 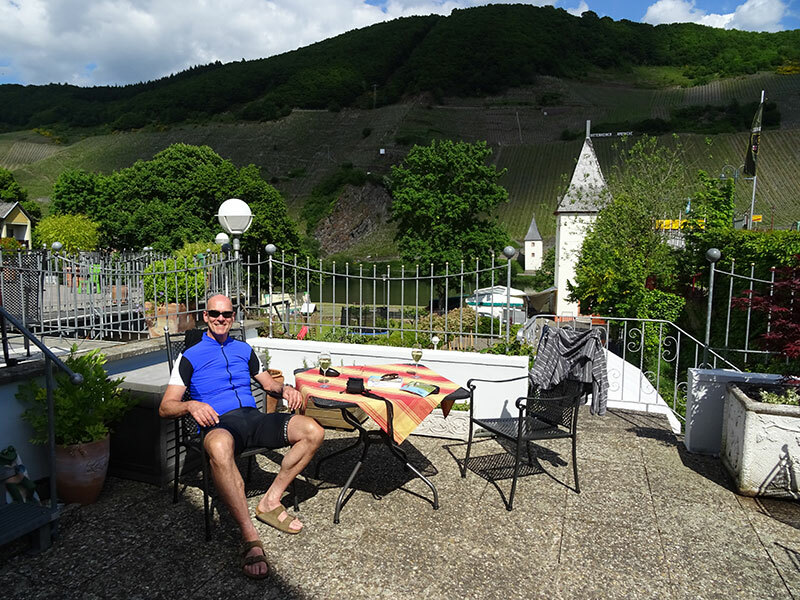 By the time we made it to our charming winery/hotel in the tiny village of Trittenheim and settled in on the veranda with a glass of Riesling, the morning’s hardships were long forgotten. Jeff, happy as a clam on the hotel veranda.